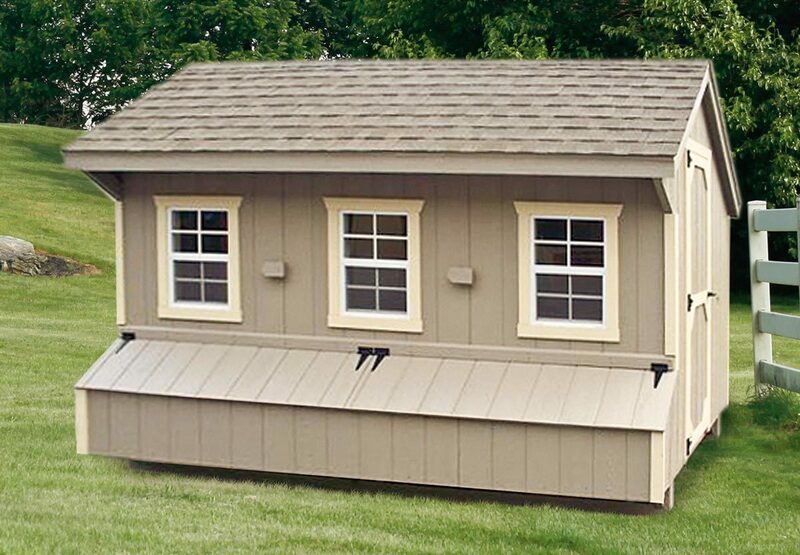 The 7x12 Quaker style coop is a beautiful large chicken coop. 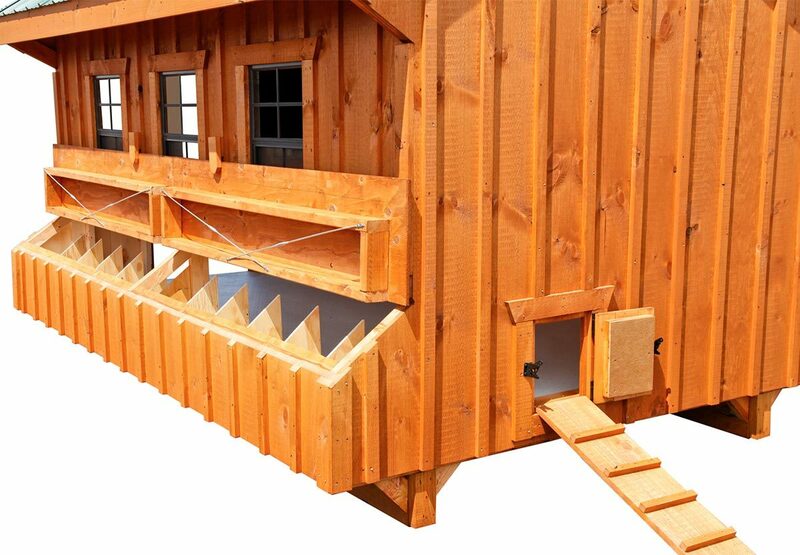 It features over 80 square feet of spacious hen house and 12 nesting boxes. 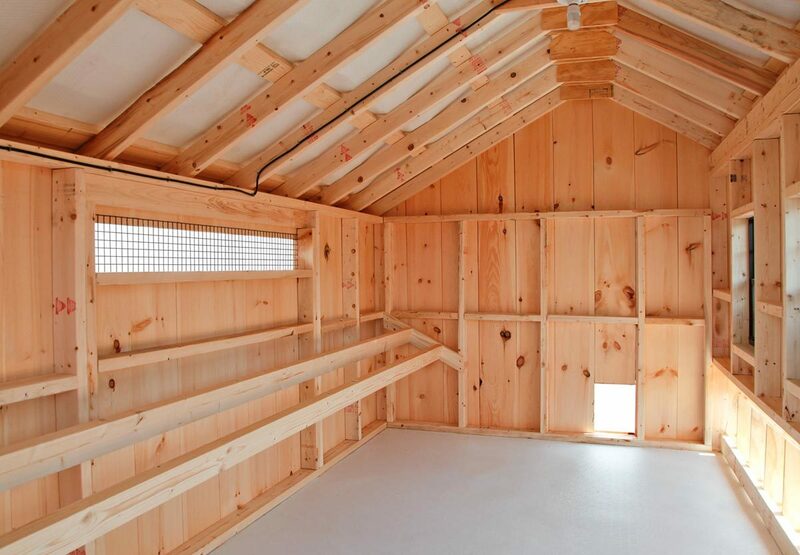 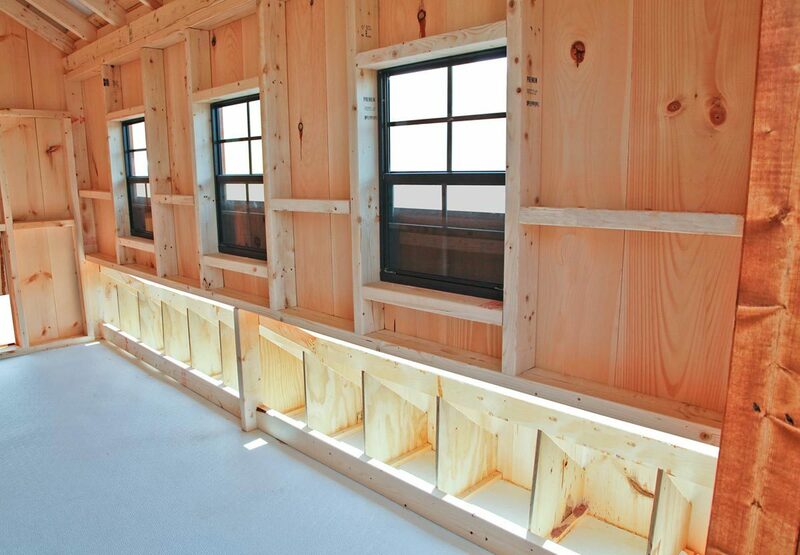 With 3 full-size windows, this coop is bright and breezy. 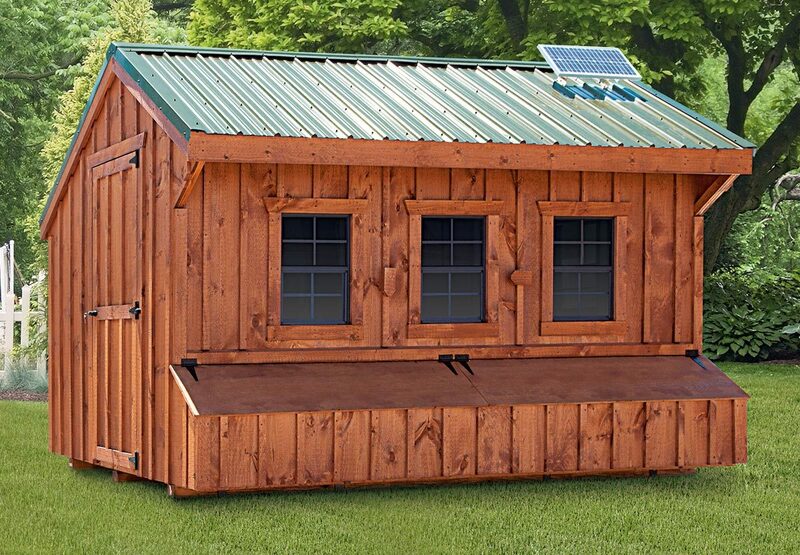 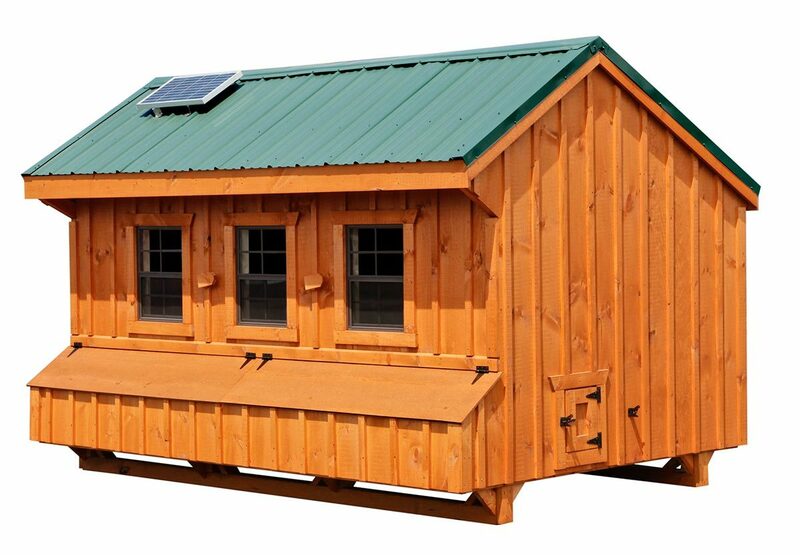 Amish-built by hand in the USA, this coop is made to order just for you!